Coming together in the summer of 1992, Future Shock has been committed to making intelligent, artistic and thought provoking music. A collection of four individuals with a single focus, Future Shock continues this pursuit into the new millennium and beyond. Eventually Future Shock co-founded the Christian hip-hop dynasty, Tunnel Rats, and performed over 250 shows together. From coast to coast they were co-billed with acts such as Switchfoot, POD, 5 Iron Frenzy, Boogie Monsters, Grits, Gospel Gangsters, T-Bone and The Cross Movement. Future shock has been featured on cult classics such as LPG’s Earthworm, Tunnel Rats’ Experience and SFC’s Illumination. In 1996 they released their debut album entitled, “Remember the Future,” which was recorded at the legendary Green Room with CCM veteran Gene Eugene. AHRED: The oldest of the SHOCK, Ahred (formerly known as redbonz) wears many hats for the group. As acting manager and spokesperson, his main influence is mostly felt and seldom seen. He is however a strong creative force when it comes to album and song concepts. As an MC, Ahred is an abstract thinker and a descriptive lyricist. His credits include features on SFC’s Illumination and LPG’s 360. A strong writer and potent battle MC, Ahred makes it known that FUTURE SHOCK is intelligent, creative, and ready for whatever it takes. AJAX: A driving force for FUTURE SHOCK, Ajax is all over the place. A definitive creative mind, his work can be seen, heard, and felt anywhere you come into contact with a FUTURE SHOCK product. An engineer, producer, and lyricist, Ajax’s list of credits runs long. First producing on SFC’s Illumination in 1993, he has produced his own compilation Unified Revolution, his own solo project Audio Odyssey, various production credits on Solseeker’s projects (including production and engineering), guest appearances on StuDent and Solseekers projects, and most recently producing on The Art of Xenos. Ajax is a unique individual and an irreplaceable resource for FUTURE SHOCK’s creativity. SOJOURN: Sojourn, or Sojay, is the chief vocal presence of FUTURE SHOCK. With the ability to rip any style, written or free, concept or battle, Sojay is one of hip-hop’s freshest talents. Soon to rival his lyrical prowess is his ability to make beats. A natural talent on the drums, Sojourn will no doubt make a definite mark on the production side of hip-hop as well as leaving a lasting impression as an MC. A fierce competitor in any battle, Sojay has earned a rep as a heavyweight in San Diego and continues to make his presence felt in the underground. TREY-QEL: Fulfilling the role of the DJ, Trey is an invaluable member of the SHOCK. With many classic production credits under his belt, incl. LPG’s classic album A Place Called Hip-Hop and a recent guest appearance on Marcos (P.O.D.) rock remix of Awwnaaa, Trey makes his presence felt in his unique ability to adapt to his environment. Combining his production and DJ skills, Trey has forged his own niche in Hip-Hop by producing the compilation To the Ends of the Earth, as well as writing and performing on his own lp (coming soon). 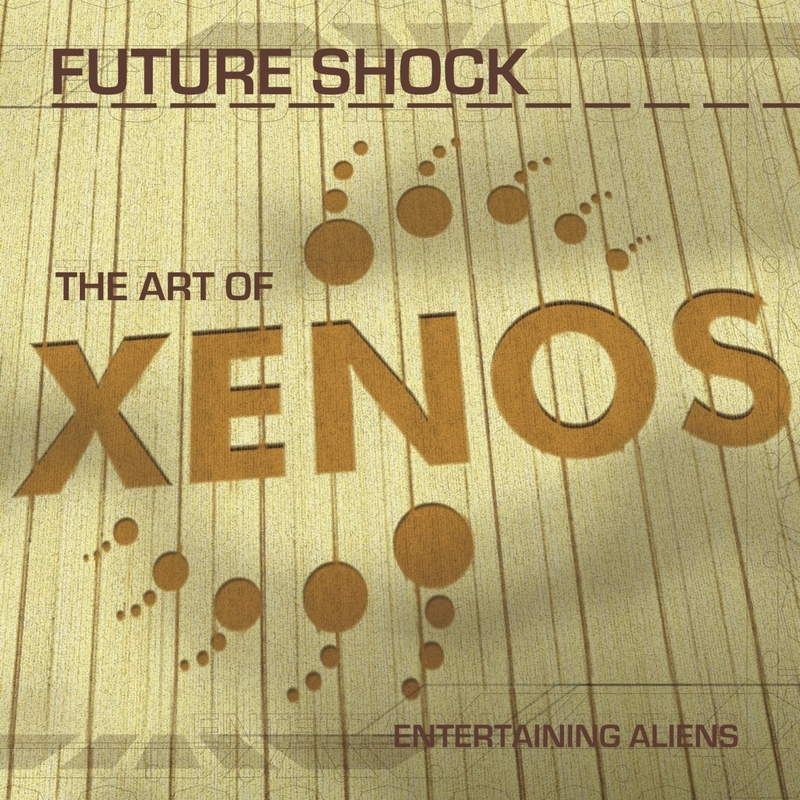 Trey also had several contributions on SHOCK’s newest release The Art of Xenos.